The centenary commemoration of the Great War of 1914-1918 has created a focus for many official archives to bring WW1 collections of letters, diaries and autobiographical accounts together, to make them more easily available to researchers, family historians, teachers and students. Previously unknown stories and personal experiences of this war are also being discovered by people encouraged by the commemoration to look into the history of their WW1 ancestors. Many fascinating stories about daily life on the fighting fronts and the home front are now available to read online or as published accounts. The aim of this page is to list some of the wonderful treasures in the collections and accessible personal accounts by the people whose lives were affected by the war. Collections in the New South Wales State Library have been brought together in themes to reflect Australia's experience of war. Themes include daily life at the fighting front, love and friendship, children in war, and entertainment for the troops. The collections of archive material include diaries, letters, newspapers, posters and photographs. The collection includes the diaries of over 500 people. The library welcomes you to be in contact if you have any stories to add or if you can help to identify people and details already held in the collection. This is a book published by the last surviving son of Captain the Reverend C V Burder, MC, MA. The book was undiscovered in an old trunk for 97 years and describes the horrors of life in the trenches of the First World War between 1914-1918. 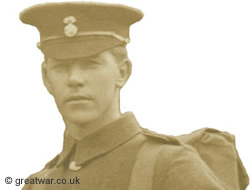 Our pages about getting started on tracing a person in your family who served in the First World War will help to give you information about what sort of detail you can find for medals, war graves, Service Records and where to look for it online or in archives and museums.